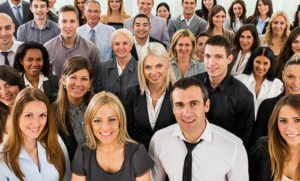 Maximize Human Capital – Boost People! Boost Business! The more you can uncover, develop, cultivate, and tap into the genius within the people who work for you, the more your business will thrive and prosper. By taking care of your workforce, guiding them and creating the environment and the circumstances for them to feel good and motivated, you will allow them to reach their highest potential and to perform optimally. Happy people are more productive and a pleasure to work with. Uncover what’s working, what’s not, uncap potential and maximize resources. Insight – Uncover why things aren’t working as well as you’d hoped. Transformation – Maximize resources for extraordinary results. Super Creativity – Activate the right side of the brain for the competitive advantage. FIX – adjust what’s not working to create a strong foundation to develop on and grow exponentially. Optimize Human Resources: Increase engagement, performance and productivity to maximize human capital and returns, boost morale, and reduce staff turnover and absenteeism. Unleash unprecedented creativity: Spark imagination, ingenuity, innovation and original ideas to be the pioneer in your industry and remain at the cutting edge of technology. Reduce Risk: Discover hidden aspects that may be sabotaging your best efforts. Prevention is cheaper than cure: Identify and fix problems before they get out of hand. Great Feedback: Find out what is going on below the radar and behind closed doors. Staff Wellness: Improved working conditions and relationships because you open lines of communication. Turnaround: Open minds to new ways of thinking. Adjust perceptions. Make company culture work for you. Exponential Growth: Identify and exploit new opportunities. Workforce Well-being: Employee happiness is the key to unlock the genius mind of the individual and the organization. SAFE: Confidential, Independent, External – Provide an environment where people feel safe enough to give great feedback so you can uncover hidden SWOT (Strengths, Weaknesses, Opportunities and Threats). Give people a voice, make them feel cared for and motivated and get a closer version of the truth. Staff Audit/ Employee Assessments – Staff Audits; assessments and surveys to discover what you wouldn’t otherwise be able to find out. Customer Satisfaction Surveys and Tailored Questionnaires get you the information you would like to have. Grievance Platform – complaints, whistle blowing, accident reporting, and reporting potential threats. Organizational Development and Change to Maximize Profits. Boost Business – identify and address problems and uncover opportunities. Turnaround Experts and Expertise – Top notch therapists and practitioners help make the transition as seamless as possible and in the shortest time. Get the best returns to thrive and prosper. Creative Solutions – to stand out above the crowd.